One of my coworkers is a huge fan of Thai food, and he always gets takeout from Basil Bistro. When I told him that I've only been to a Thai restaurant once (and ordered a non-Thai dish) he insisted we go for lunch. Why haven't I jumped on the Thai wagon? Mostly because I'm not a fan of peanut, coconut, or sweet flavors in Asian style dishes. Well, I do like some sweet, like honey sauces, but not a sugary sweet taste. My initial impressions of Thai food, based on limited experience, were that these flavors dominated. 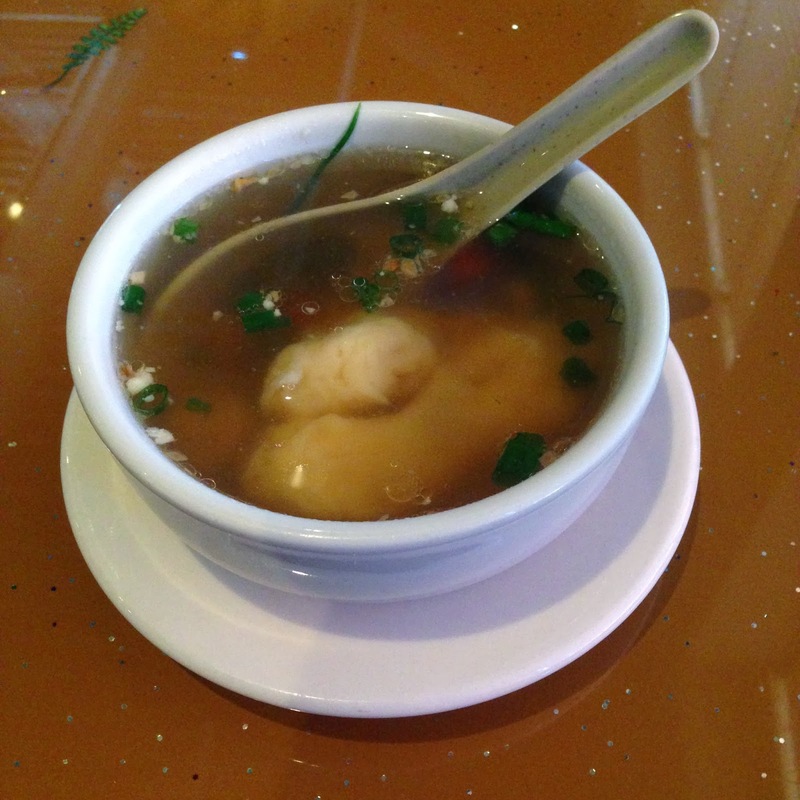 At Basil, I decided to go with a wonton soup to start, for two reasons... One, it was a cold day. Two, I wanted to order something I knew I'd like just in case! For my main dish, I actually saw a lot of things on Basil's menu that looked yummy. But I decided on Chicken Pad Thai, minus the peanuts. The portion was HUGE, and we were at lunch! It was like a neverending bowl of delicious chicken and noodles. I liked the dish, though it was a little sweet for my taste. I really liked the bite of my friend's Pad See Ew, so if I go back I will try that dish. (I love soy sauce.) I ate until I was stuffed, and there was still half a bowl left! I enjoyed Basil. They have good service, generously sized portions, and they offer a vast selection, including sushi! I would not hesitate to return, even though I'm not completely sold on Thai food as a favorite yet. *Thai food. Not Thaif old.